So social... So sweet! Pepsi Cola! 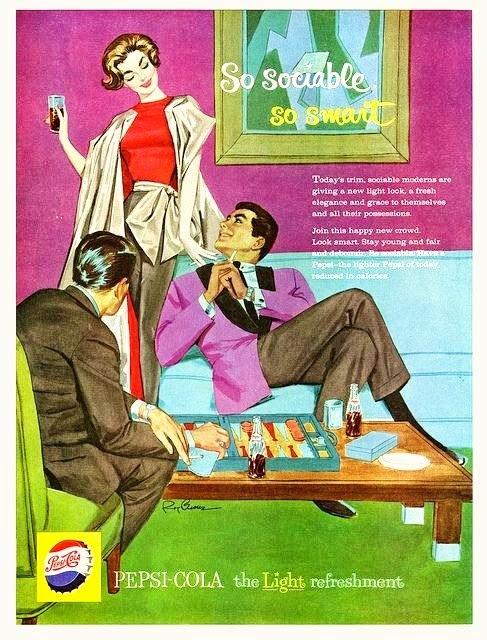 I am still loving these mid century advertisements from Pepsi. And that lilac smoking jacket is giving me the vapors. How can you not enjoy a grown man lounging around your living room, in a lilac jacket?